We have so *many* new dresses in at the moment, it's hard to even pick a favourite. 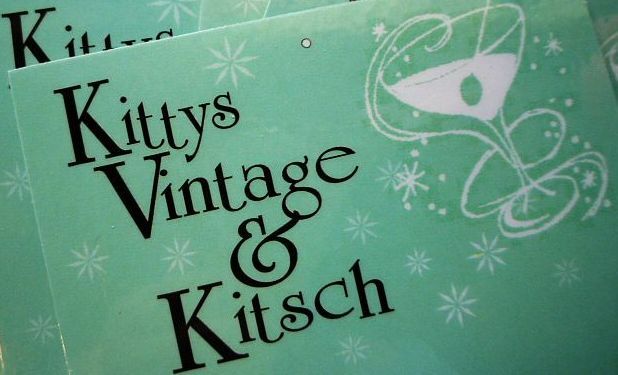 If you'd like to keep up with our latest fashion finds, the best place to do so is our Facebook page. Every Wednesday night for around 2 hours I upload a heap of dresses for your shopping pleasure, so don't be shy to tune in and leave a comment or two. Here are a few of my current top picks. 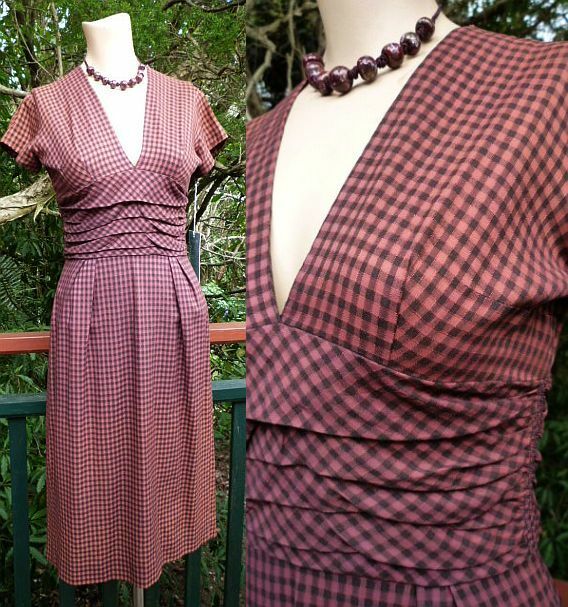 1950s rayon faille boatneck day dress, cutest-ever square buttons. 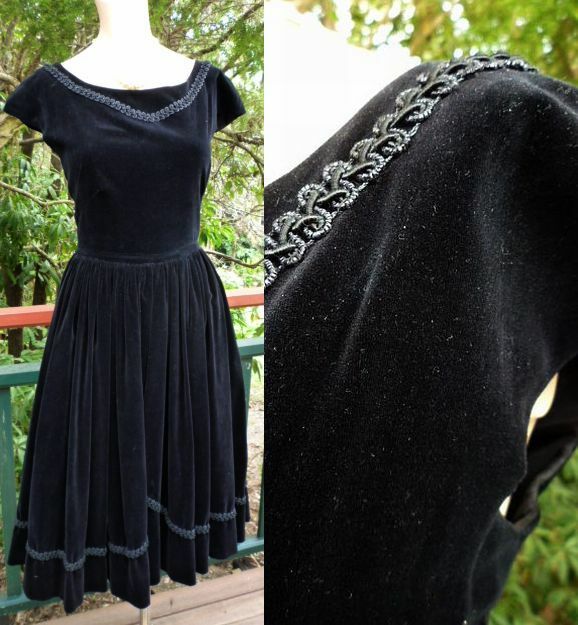 1950s cotton velvet party dress with braid trim. 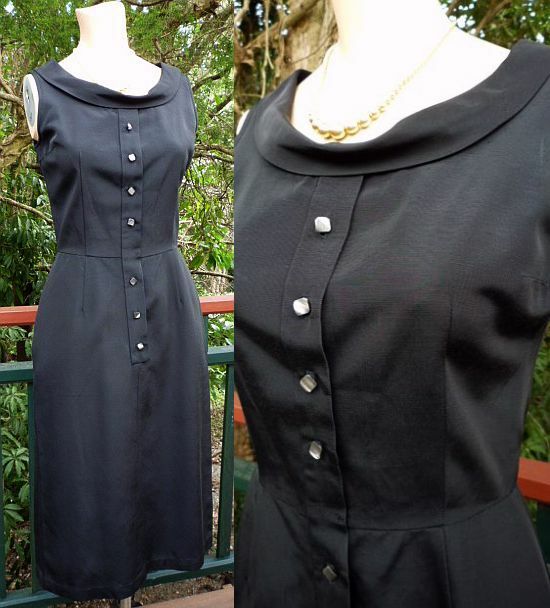 1950s cotton sateen wiggle dress with massive bakelite button feature. 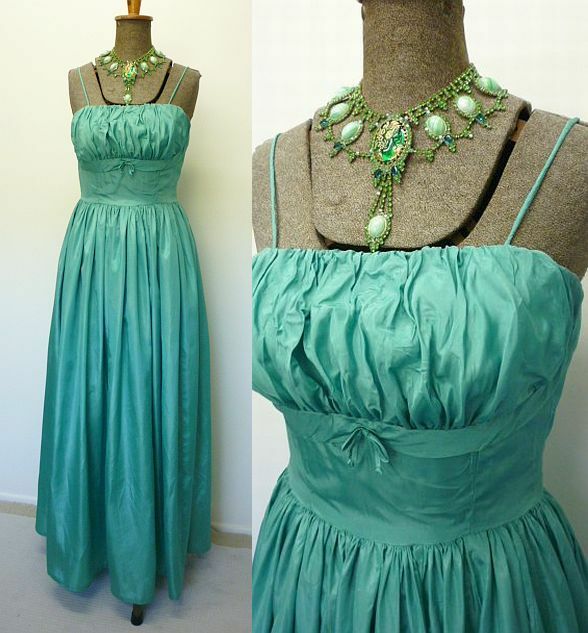 Fantastic 1950s ruched nylon party dress. 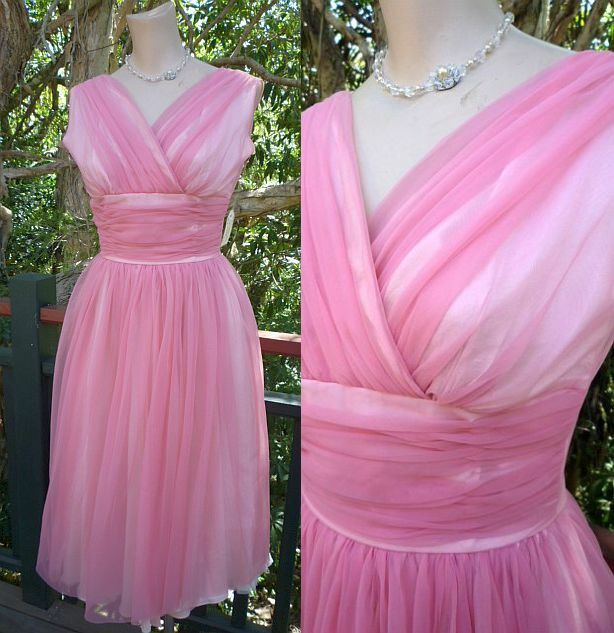 1950s fully lined acetate & nylon party dress. Fabulous!! 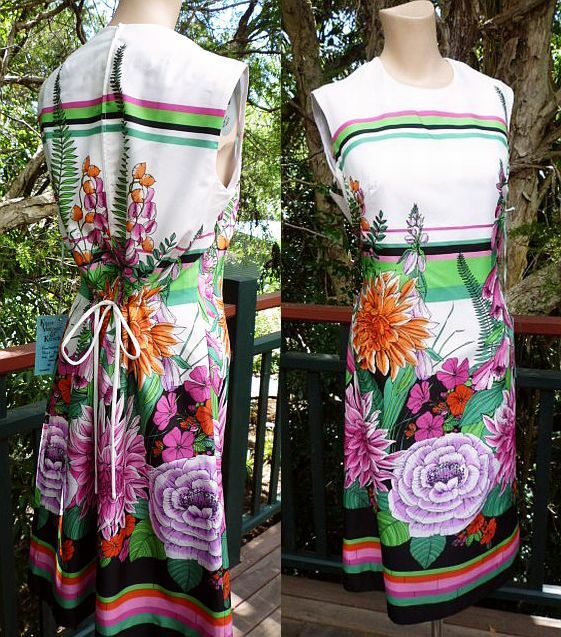 1960s German-made fully lined print dress with drawstring back. 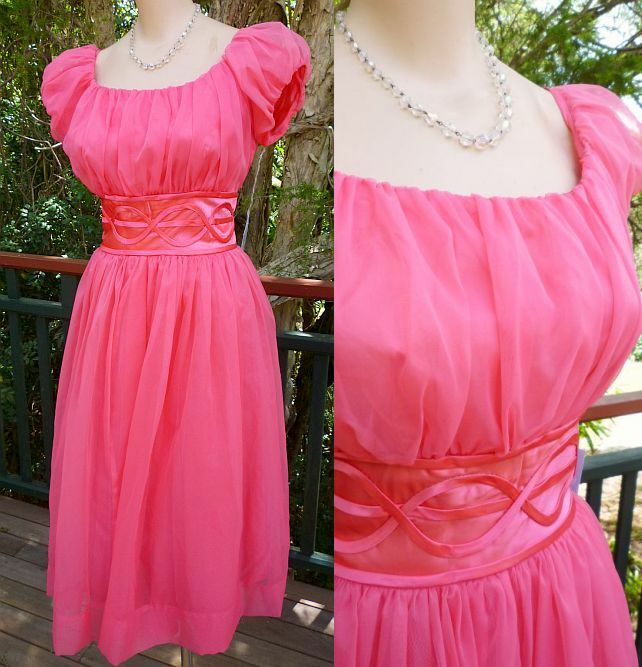 1960s moire taffeta ballgown, a great style for those not so well endowed! 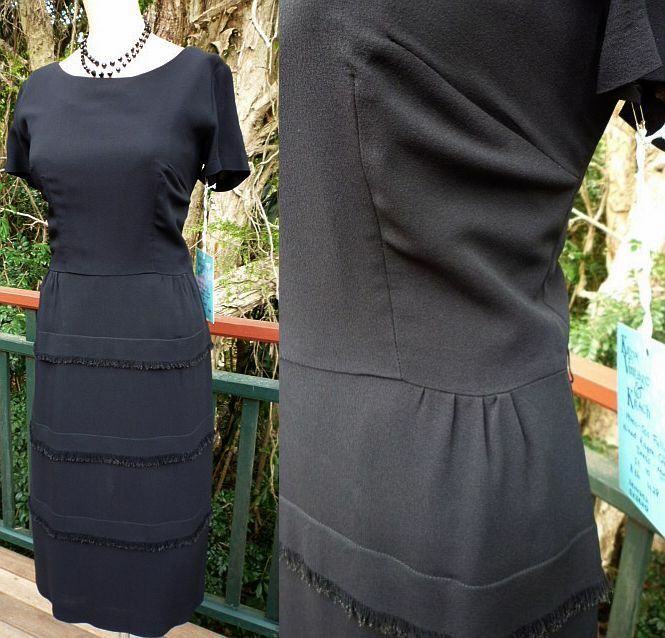 Gorgeous 1950s fully lined silk crepe dress with fringing detail. Such fabulous detailed work on this one! 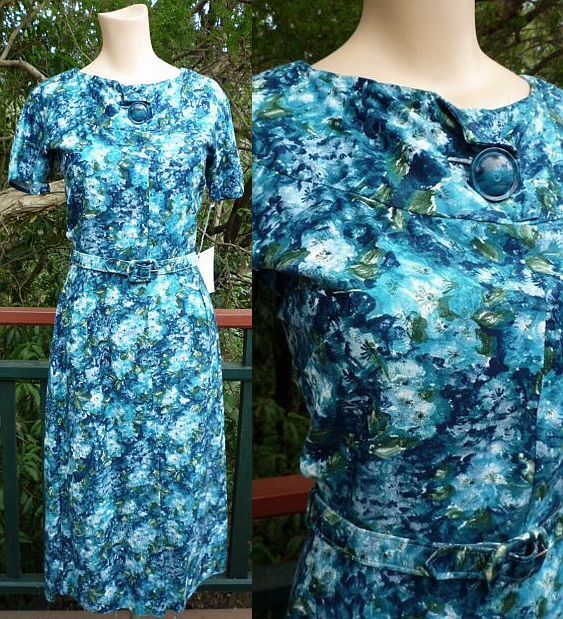 50s cotton wiggle dress with graduated colour- imagine sewing that! Last but not least, a maxi with wings, well almost! Fark ME! Fabulous isn't the word! FABULARSE comes close!!!! How heavenly. I'd like to romp about with these frocks in an intimate manner! All of them are pretty. Can't decide which one I like better: the blue one with the sleeves or the check one. Love them all but 3 and 6 are my favorites....and I went to your facebook page also...love it! 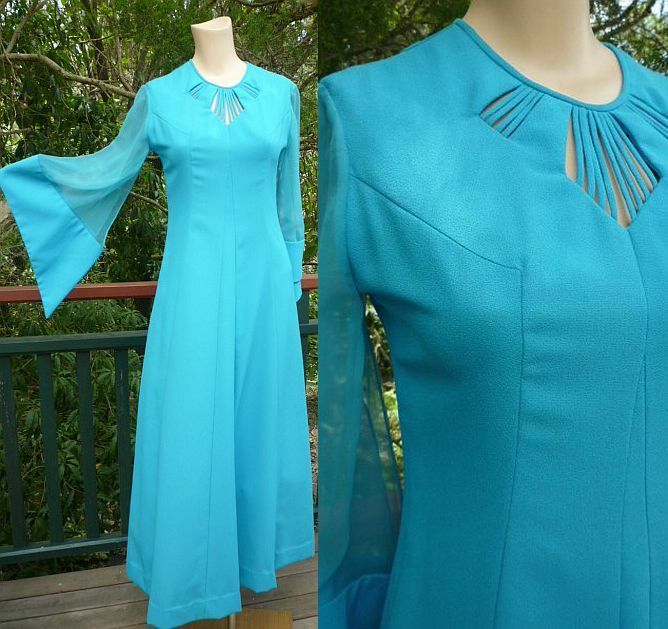 They are all lovely, but my fave is the 1950s ruched nylon party dress. weep! I love all these dresses, though my absolute faves are the pink party dress and that extremely cool first one. These dresses are lovely. I really like the drawstring print dress. That is so pretty!